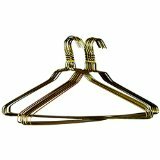 I was very happy to get this set of 50 Gold Heavy Duty Wire Coat Hangers by BriaUSA. The weight of the box let me know right away that these are no ordinary wire hangers! I got the set of 50 gold hangers and they are very sturdy! I like that they are very well made. 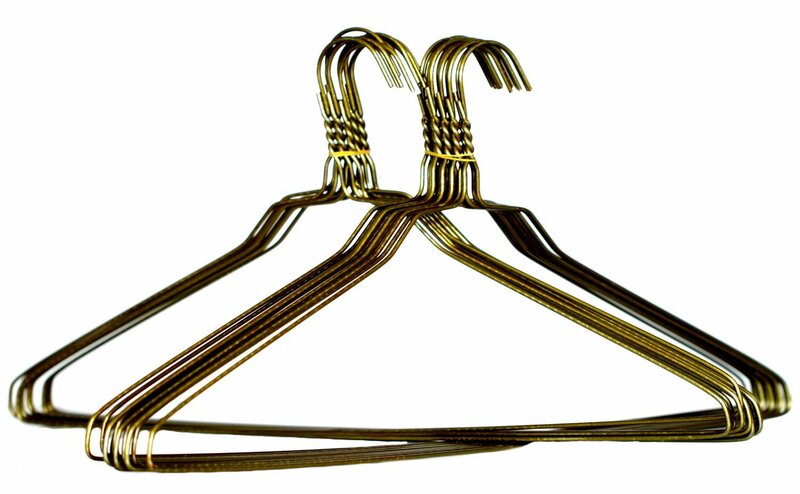 The size of the hangers are perfect for larger heavier items that you want to hang. 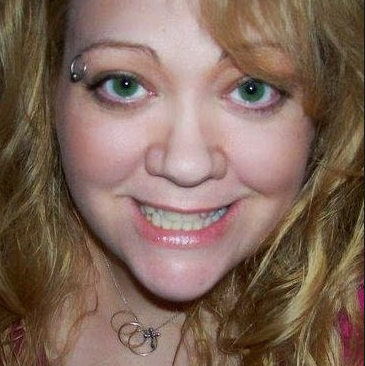 They are not huge but they are not small and flimsy like most wire hangers I see. I like that they come in such a large supply. I have use for each and every one of these hangers and like that they all will match and be the same size in my coat closet. I like that they are 18" and 11.5 gauge steel. but not bulky and do not take up much room. I recommend these hangers.